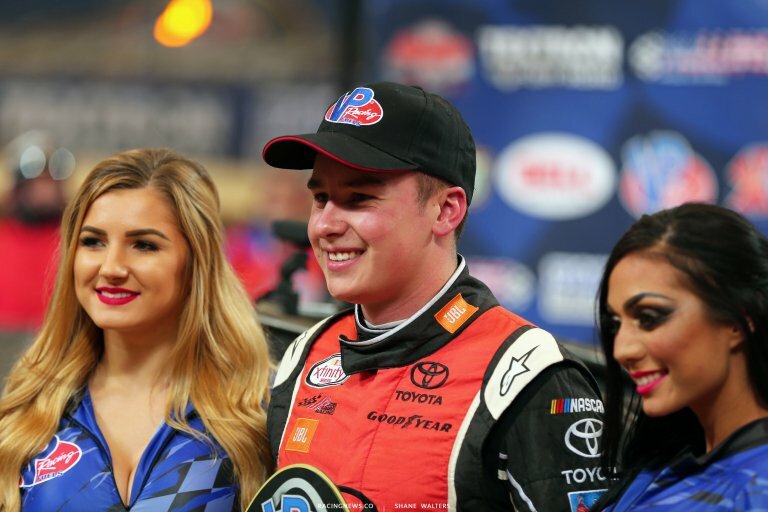 Christopher Bell just added another huge race win to his resume. 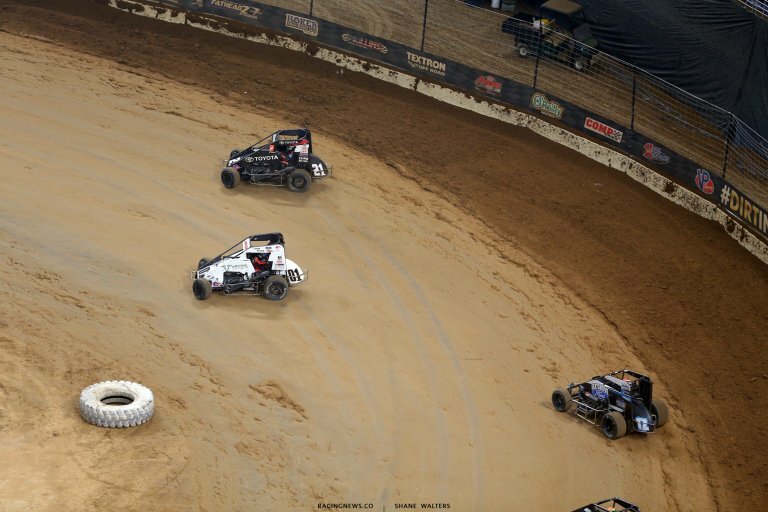 On Saturday night, he won the inaugural dirt midget event hosted inside The Dome in downtown St. Louis, Missouri. That marks two huge indoor dirt race wins for him in the same year. He won the 2018 Chili Bowl Nationals as well. Ironically, both times he held off a charge from fellow NASCAR driver Kyle Larson. The Gateway Dirt Nationals midget feature paid $10,000 to win. That’s exactly what the Chili Bowl pays to the race winner. As far as pay, they’re equal. They’re similar in the fact that they’re both indoors. But, they’re really not equal or similar on many other levels. As far as crowd and drivers, the Chili Bowl is maxed out. And, the race is sold out months in advance with no room for growth inside the Tulsa Expo Center. Meanwhile, the Gateway Dirt Nationals just had their biggest crowd attendance to date. Yet, they still have three more levels of seats available. Covers on those seats didn’t even come off for this weekend. The Dome at America’s Center is the former home of the Rams. When the NFL left St. Louis and hit the road for California it left the largest stadium in St. Louis open for indoor racing. The Dome has a seating capacity of 66,965. I’d like to hear your thoughts on the comparisons between this event as a whole and the track itself to the Chili Bowl Nationals? “Well, it’s just a completely different deal. The layout, the track and the dirt’s totally different,” Christopher Bell told RacingNews.co after his win. I’m a late model guy. But, I like all forms of dirt racing. With that said, the dirt midgets probably put on the best overall portion of the GDN show in St. Louis. I see that class drawing a bigger portion of the crowd in the future. With that, comes a bigger payout for the Dirt Midget class. Do you see it becoming a bigger event than the Chili Bowl in the midget world? I ask that because the Chili Bowl is kind of limited as far as the crowd goes. But, I understand there’s also prestige down there. “The Chili Bowl definitely has the history,” Bell continues. On Saturday night, the Gateway Dirt Nationals crew chased unpredictable track conditions. The track was rough. Within reason, that can be a good thing. But, too rough and it’s likely to cause cautions and rollovers. Those were more of the same conditions from earlier in the weekend. But, it wasn’t what we saw in the 2017 edition of the race. In 2017, the track was slick from top to bottom. Instead, it was similar to the first edition of the track in 2016. A few midgets rolled this weekend due to ruts in the race track. Ricky Stenhouse Jr was the first to do that on Friday night after flying to the front from the back of the LCQ. At the same time, the Chili Bowl isn’t considered rough but they have so many flips that they count them up. Bell fought off challenges from multiple drivers in the feature event on Saturday night. They all tried but none could get by. Bell led flag to flag and took the win in St. Louis.